Jordan Brand is set to give us a huge treat with the scheduled market release of a special edition of the Air Jordan 1 soon! 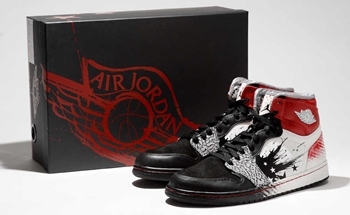 Known as the Air Jordan 1 “Wings for the Future” edition, this model was made available earlier this year but it can be purchased thru auctions only. But this time, all of us can have it with the confirmation of its market release! This shoe that was designed by David White, a Jordan Brand fanatic, will be released in Black/White-Red colourway, which is expected to make waves! It will hit shelves anytime so keep a watch on it!